Download our app for Apple and Android to manage your whole studio. Tell your members so they can view the calendar, make purchase, and track their activity from their device. Instantly scan and check-in existing members with their digital membership code. Avoid long lines at your front desk and get everyone where they need to be immediately. Dead simple check-ins, just scan their keytag. Instantly pulls up all their information. Then check them into the classes they paid for. No more dealing with getting members to sign paper waivers. With our digital waivers you can streamline legal document signing right at registration. Show the most up to date class schedule & times on a unified calendar, know when your instructors are free, allow members to book time. From signups, attendance, sales, and more you can instantly know key information. Gender ratio, revenue, most popular classes, most popular packages, cash/credit ratio, and much more. Keep track of all cash taken, manage refunds digitally so you know where your money is at all times. Accept credit card payments, stored on file so the next time members pay there is no need to ask for their credit card again. Easily create payment plans for members to be charged monthly. Payments are automatically charged to the member's credit card on file. Finally allow members to purchase online or in app. Get your money right away, no more waiting and managing in person payments. Automatically sends an email receipt complete with your brand and each line item. Never again will members wonder how much they were charged. Immediately task refunds and painlessly give members money back when needed. Money goes back directly to the credit card they used for the purchase. Money is transferred straight to your bank account after two business days. No hidden transfer fees and you can track it all within your studio platform. Every member can view their past purchases within our app, your branded app, or the web platform. Never again wonder if someone has already paid. Load up a member's shopping cart for multiple purchases at one time. Multiple recurring payments will be combined into one charge for member convenience. Instantly charge any amount to any person via a quick swipe of their credit card. Perfect as an instant POS system any where any time. Charge and keep track of sales tax for specific items and purchases. Never worry about accounting for Sales Tax it's all done conveniently for you. All of our plans are non contractual. We rely solely on our great software to keep you happy, never a contract. We allow your branded platform to speak for us and give you peace of mind. Unlock all Member.Life platform features for just $100 a month subscription. Premium plans also have a reduced 5% per credit card transaction rate. Instantly sign up new members, check-in existing members, and charge members by handing out and scanning a physical membership keytag. Allow members to have group accounts or add child accounts. Any purchases will be applied to the primary account credit card on file and the family members can check themselves in plus more. Allow members to book time with your staff by sending them an availability schedule. Members can easily select a time reserved for them. Reminders will be sent out to staff and members. Always have your website up to date by embedding live platform modules. Include your latest calendar, classes, packages, merchandise. Embed a registration form to sign up members and take payments directly on your website. Set up an iPad at the frontdesk to allow members to pay and check themselves in. Receive a notification if someone needs assistance. Keep up to date with all of the owed money from each member separately in their own personal balance. Never wonder if someone owes you money. Keep track of students and the classes they're in with easy to use roll sheets. Allow staff members to view roll and take attendance. Know exactly how many members are planning on showing up to your events by telling customers to RSVP to your events. Keep track of the roster to prepare ahead of time. Set maximum capacities to classes and allow your members to RSVP ahead of time to make sure they reserve their spot, or minimum rsvps to start classes. Restrict class attendance to certain age groups. Great for keeping track of children progressing through their favoriate classes. Allow your staff to clock in and clock out with a scan. Keep track of all your staff members from anywhere in the world. Track earnings for easy payroll accounting. Automatically send out email reminders to members to notify them they have unused passes available to use for class today. Proven to increase attendance. Easily create a newsletter or an announcement on the Member.Life™ platform to send out to all members, a selection of your members, or just the staff. Keep track of all business expenses right inside your platform. Never wonder again where all your money is going. Reward your customers with points for different actions like early bird check ins. Allow them to cash in their points for different items and watch customer engagement go up. Does your facility have many rooms with different classes? No problem. Keep track of all your rooms and keep members flowing to the right classes anytime. Boost your brand and member following by upgrading to the pro plan. Get a fully branded mobile app for members to download on iPhone and Android. Instantly communicate with your staff and members within your Branded App. Keep your members in the loop when things occur. Notify your members and staff instantly on their device within your mobile app; purchase receipts, class reminders, new messages, mobile newsletter, scheduled payments, and more. 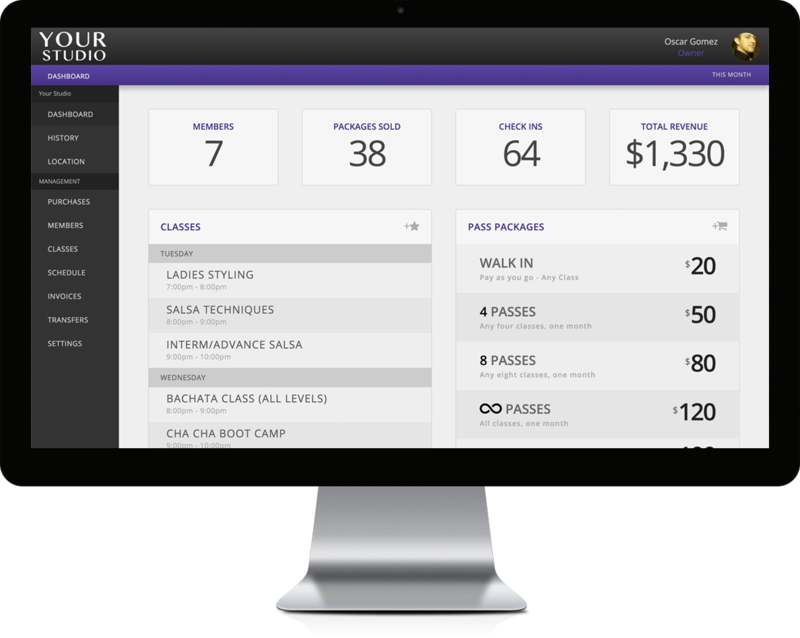 Automatically remind members, instructors, trainers of their scheduled classes and private sessions. Allow everyone to easily keep track of their upcoming events on your branded mobile app. 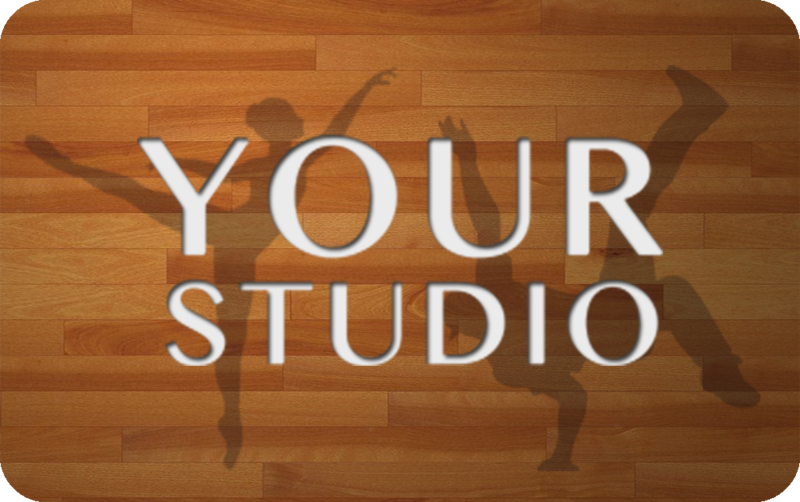 Expand revenue sources by offering vacant studio rooms for reservation. Offer available hours for all your rooms that anyone can reserve directly in your app. Sell any product easily directly on your mobile app. Members can easily see the most up to date products and purchase directly within the app and pick up at their next visit. Keep members engaged with incentivized actions earn them rewards points that they can track and exchange for special offers provided by your business. Share your most important information or moments with all your members using videos. Members can easily view and share your videos with their friends and family. Easily create new discount levels to have available to give to customers. Any dollar amount or percentage specified will be deducted from their total and added as a line item in receipts. Allow members to purchase a gift to your services for a friend or family member. Load the gift onto a keytag so when the gift receiver comes in a scan uses the gift purchase and they're ready to go. Request all the info you desire with custom fields on your registration screen. Pull up the info anytime as reference from any member or request any new information needed later. 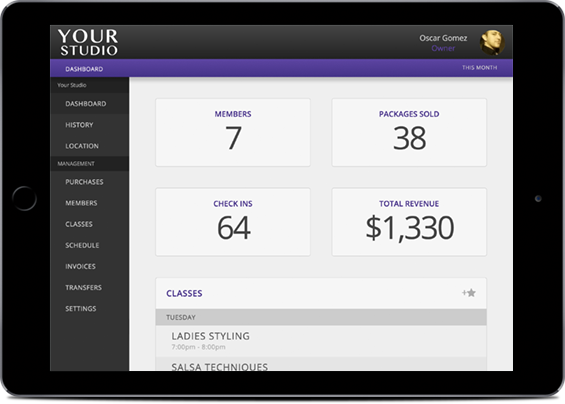 Instantly build a digital store to sell merchandise and keep track of member purchases. Post a link to your digital store on facebook, members can pick up purchases next time they visit. Allow members to book parties to your venue. Easily manage a calendar of availability, deposits, owed balances, guests and more right on your system. Put a price on exclusive video content for paying members to learn and grow for your knowledge. Start monetizing your most valuable ideas and moments. Motivate your members by challenging them to complete goals they can track on your mobile app. Review and reward them with points when they have completed the goal. Setup one time accomplishments to allow your members to attain success and triumph. Members can keep track of their earned achievements as badges of honor. Have an elegantly quick front desk check-in experience with fingerprint access for all your customers. Never have long lines or slow downs at the front desk ever again. Allow your trainers to charge their own clients and get paid directly to their bank account. Manage their clientele and send them emails just like your own members. Jump into the future by instantly checking in your members when they walk in the door. Most modern business on the block by far. Hold online private sessions easily with our virtual sessions feature. Increase your revenue by holding multiple sessions back to back without any traveling involved. Manage each of your business locations all under one platform. Compare each location and promote across all of them. Do you have a lot of administrative work that you need help with? With our 24/7 Support specialists we can deliver what's needed anytime. Get access to all new features. Request changes and improvements any time by our active development team.